NEW CARPET THROUGHOUT! Maintenance Free Village of Brentwood in the Desirable Guard Gated Community of Live Oak. 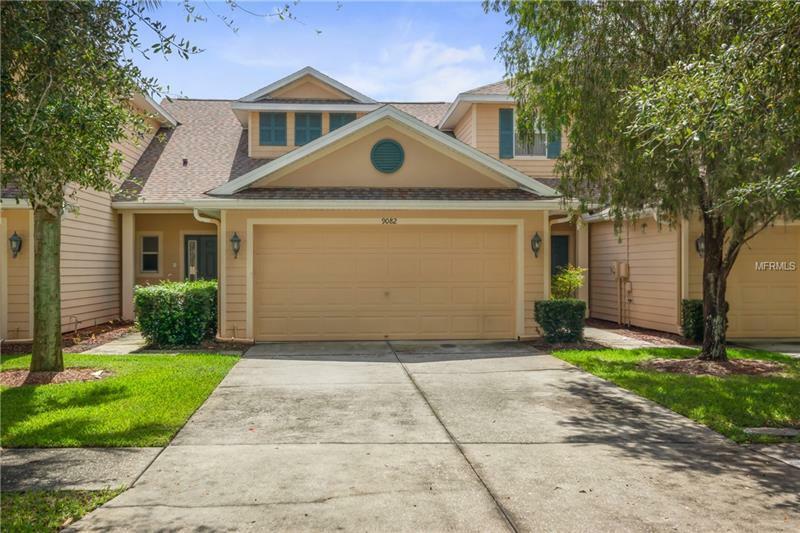 This 3 Bedroom, 2.5 Bath Townhome features a huge combination living/dining room with sliding glass doors onto the patio while giving you an unobstructed view of a beautiful pond. The kitchen offers Stainless Steel Appliances, wood cabinets and a breakfast/snack bar overlooking the living areas. The large downstairs master suite with a huge walk in closet, the bath features a dual sink vanity and walk in shower. Upstairs are 2 more spacious bedrooms and bath. NEW CARPET is in process of being installed making this a move in ready home. Live Oak provides an awesome array of community amenities including a clubhouse, a resort- style pool, water park, playground, fitness center and tennis and basketball courts. This home is not a short sale or bank owned and can close quickly.